Well almost, as I built both of these HF mobile antennas to cover the 10 meter through 80 meter bands. Other than that, they are different in the fact that the upper antenna has a fixed coil, and the tune-sleeve is powered by an linear actuator that selects the band you wish to operate on. 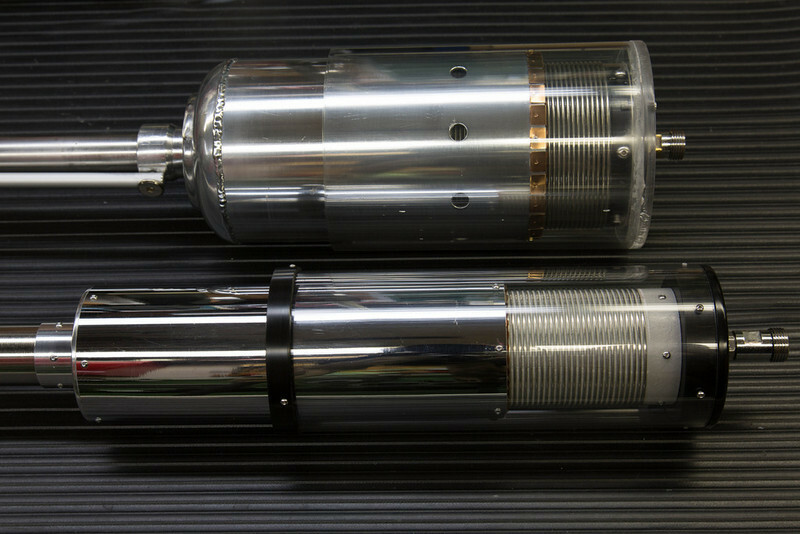 The bottom gearmotor antenna is of a more conventional design, where the coil powered by the gearmotor that resides within the mast, moves the coil to the band of choice. The bottom gearmotor antenna is quite unique in the fact that the coil is of two different diameters.